Monday was a very long day for Juha, Ho Sang, and me but one that seemed worthwhile for the GFIS program. 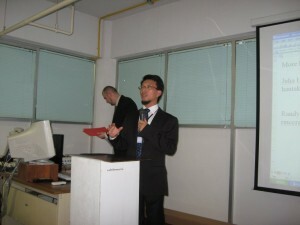 Our workshop was well attended and people seemed interested and, sometimes, even enthused about the project. That was heartening. I was a little surprised but most of the people who attended were professors or decision makers and very few Webmasters/technicians. I was hoping that we would have a more technical people in attendance but instead so we spent a fair amount of time in the morning emphasizing and explaining the GFIS concept than I had imagined. This was not a problem and it was probably a very useful exercise for the program but I suppose expecting more “keyboard people” like Juha and myself. I suppose you never really know your audience and their level of knowledge and skill until you are in the classroom setting so you have to flexible and adjust to their needs. The afternoon session in the computer lab seemed to be very practical and rewarding for me. I believe we may even have a few new potential information provider partners. 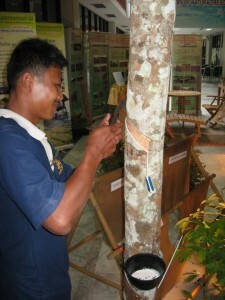 By the end of the session we even had forestry professors writing XML code! My energy level was really low but I was buoyed by watching people smile and laugh as they wrote their RSS feeds and submitted information to GFIS. It was great! I suppose it is really hard to gauge success for something like this…. The only true measure is if people and organizations follow through on their initial enthusiasm and you can’t tell that for days or even weeks. So, “we have planted the seeds” and we will keep working with people at FORTROP and keep in touch with people after we lave Bangkok. Maybe, just maybe, we have made the trip worthwhile. 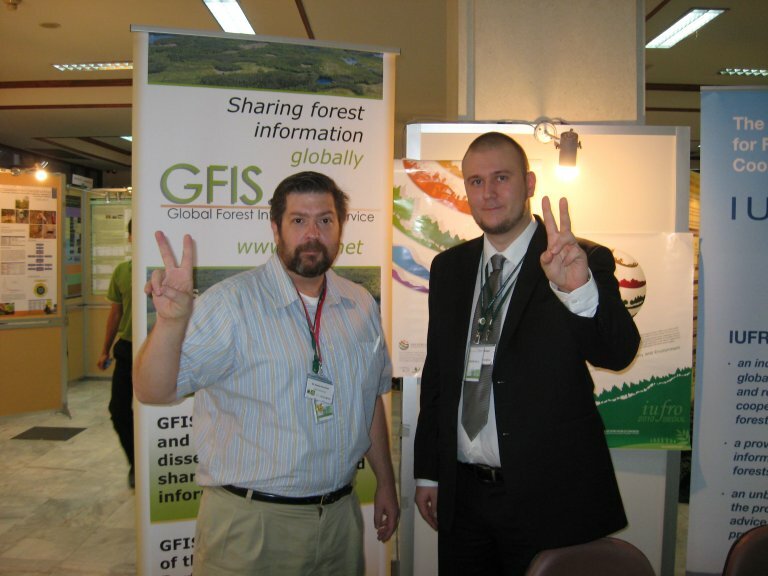 You are currently browsing the archives for the IUFRO/GFIS category. Entries (RSS) and Comments (RSS). 20 queries. 0.336 seconds.